The UC-8580 has four slots for installing wireless modules*. 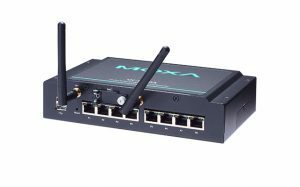 Three slots support 3G/LTE modules, and one slot supports a Wi-Fi module. 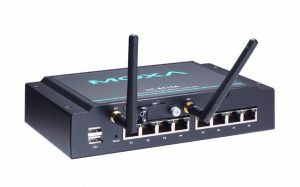 Each 3G/LTE module has two SIM card slots, which can be used to enable redundant cellular network communications or geo-fencing SIM card selection by leveraging the built-in Wireless Manager, a Moxa software utility for cellular and Wi-Fi management. 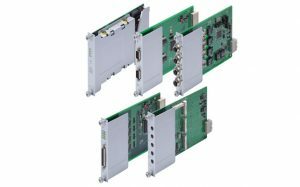 The UC-8580’s single-sided I/O design is ideal for vehicle applications, which typically do not have a lot of room for installing communications devices. 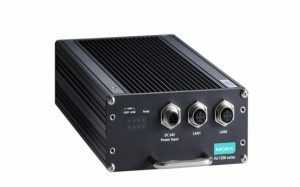 The UC-8580 also has an access panel on the front side, allowing users to install or change wireless modules, SIM cards, or mSATA cards without needing to remove the entire unit from the wall after being mounted. *Wireless modules must be purchased separately. Please contact a Moxa sales representative for details. Note Wireless modules must be purchased separately. Digital Input Levels for Wet Contacts Logic level 0: +3 V max. Note The Hardware Specifications apply to the embedded computer unit itself, but not to accessories. In particular, the wide temperature specification does not apply to accessories such as the power adapter and cables. 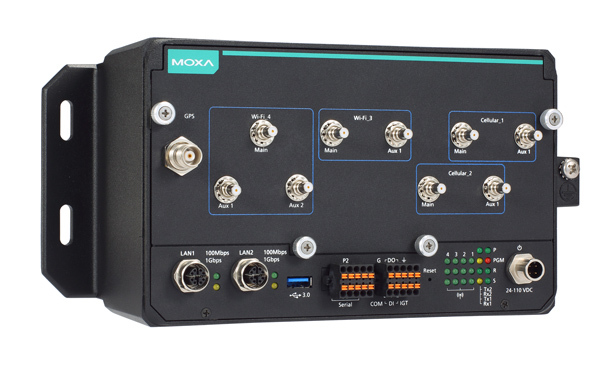 In this white paper, Moxa identifies a few solutions to the key challenges railway operators face when trying to secure their data and devices against the peculiar tests of the railway environment. 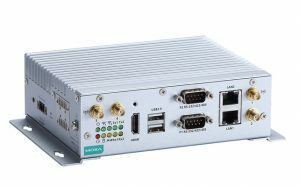 Taking network video recording devices as the stepping off point, we give a brief analysis of how a train’s vibrations, extreme temperature fluctuations, and power supply can adversely affect device functioning and durability. The paper then goes on to consider how thoughtful engineering can eliminate these factors as a point of concern, while at the same time building strong value for the customer through carefully considered, centralized, and automated controls and failsafes. 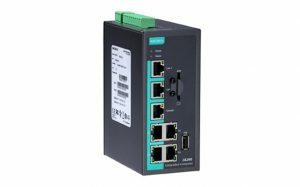 This whitepaper discusses the various applications and subsystems to which an on-board train computer may be applied, outside of signaling and control. Most talk within the train industry focuses the vital signaling and control automation; however, today’s trains and other forms of mass transit have many more demands beyond these critical systems. Each class of train has specific requirements and needs that are defined by its on-board auxiliary automation systems. 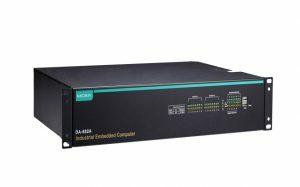 While these requirements vary according to the train environment being served, a core set of hardware requirements may be met that will allow a single, extensible computer to serve in virtually any on-board auxiliary role required. This white paper examines what these core requirements are, and shows how careful computer engineering can cut deployment and integration times for engineers tasked with building on-board train systems.